I won't deliver a punchline here. I know it looks good with all the cute pictures and school work but if your refrigerator is running a lot, a leaky gasket could be to blame. 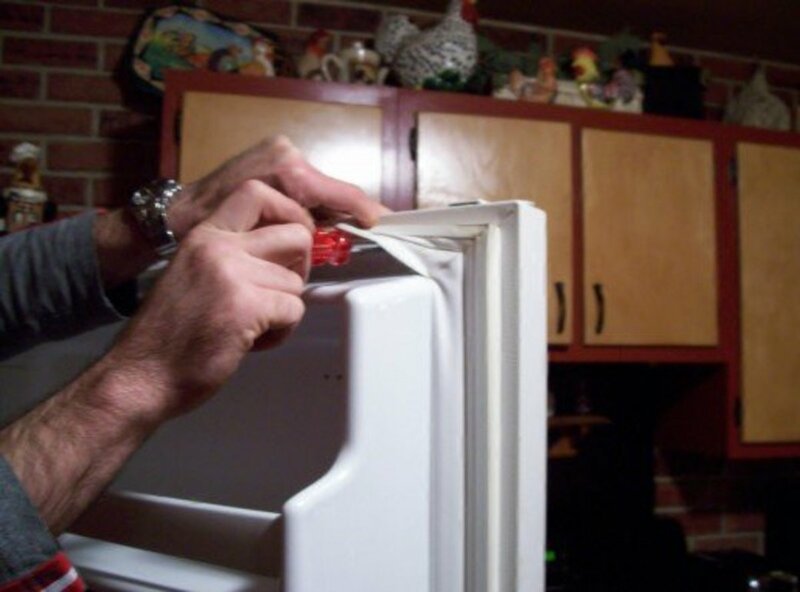 Replacing the gasket on your refrigerator and freezer doors is simple, cheap and doesn't take much time at all. This is one of those tasks that many of us don't think about doing and often assume it requires an expert to do the job. Little did you know, you are the perfect candidate to do the job regardless of skill set, background or gender. The here's how to check if you need a new gasket, how to obtain a new gasket, how to install a new gasket and what the benefits of this easy repair are. Test the door in multiple spots to be sure. Of course, the first thing we need to determine is if this repair is necessary. No special tools or meters are required to make this simple assessment; just a simple piece of paper or dollar bill. 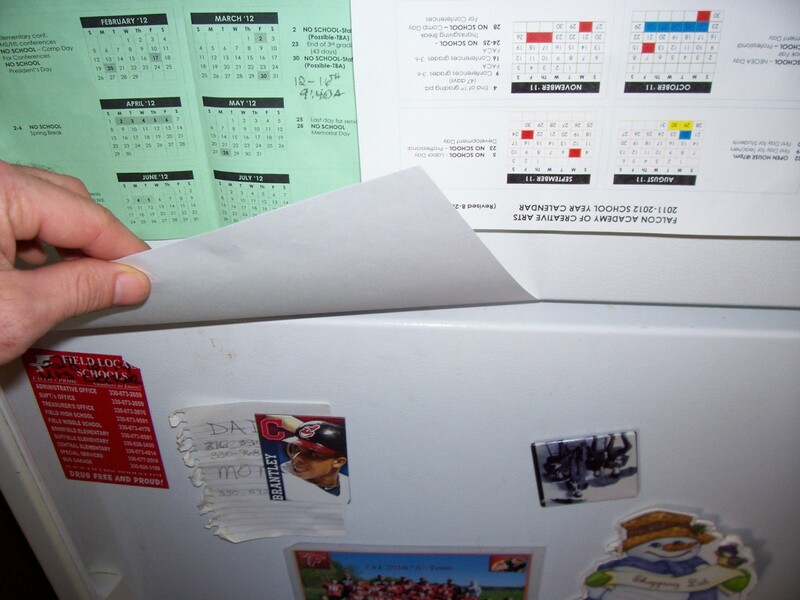 Simply open the freezer door and shut the piece of paper inside the door seal. Does it slide out easily or tear in half? If the paper slides out rather easily, you likely need to make this repair. The paper should be difficult to pull out if there is a nice tight seal on the door. Moisture on the seal and evidence of black mold are other tell-tale signs that it is time to replace the gasket as well. With a significant difference in temperatures inside and out of the unit, a leak will create condensation on the seal. The condensation then enjoys becoming a sort of playground for mold to grow thus the little black speckles that form in and around our leaky seal. YUCK! 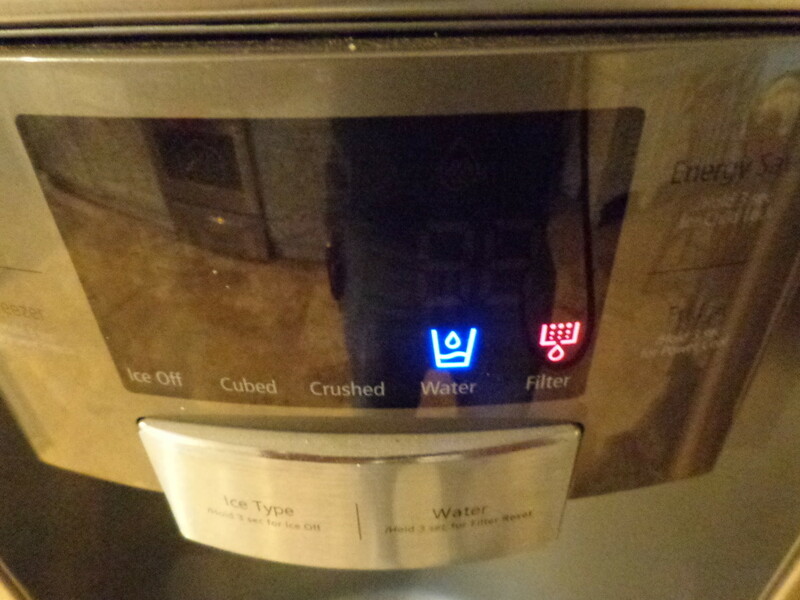 Unfortunately, we've found that our refrigerator is in need of some T.L.C. but hey, better to know now than when we lose a "fridge" full of groceries. Before we start our replacement, we need a new gasket to replace the old one with. This shouldn't be too difficult unless you have an antique and even then, you may be surprised as to what you can find online. Your new gasket will likely cost you between $40 and $80. 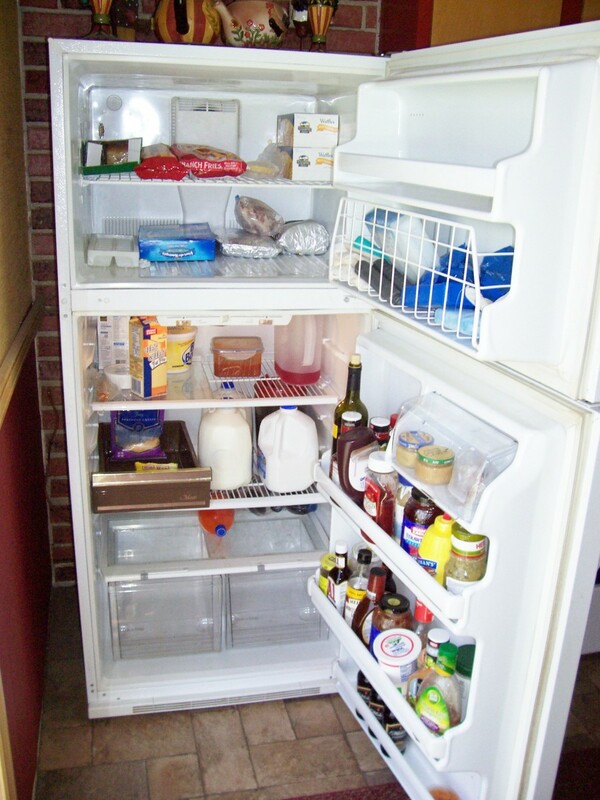 You'll need to find the identifying information for your refrigerator. The make, model and other appliance information should be easy to locate in your owner's manual or on the unit's rating plate if you don't have the original owner's manual. This rating plate will likely be located in the jamb of your refrigerator door or somewhere on the interior wall of one of the refrigerator's cabinets. Once you've obtained this information (make and model being the most important) you should be able to order a new gasket from the original maker (OEM) or obtain a universal type gasket from a local hardware or appliance store. 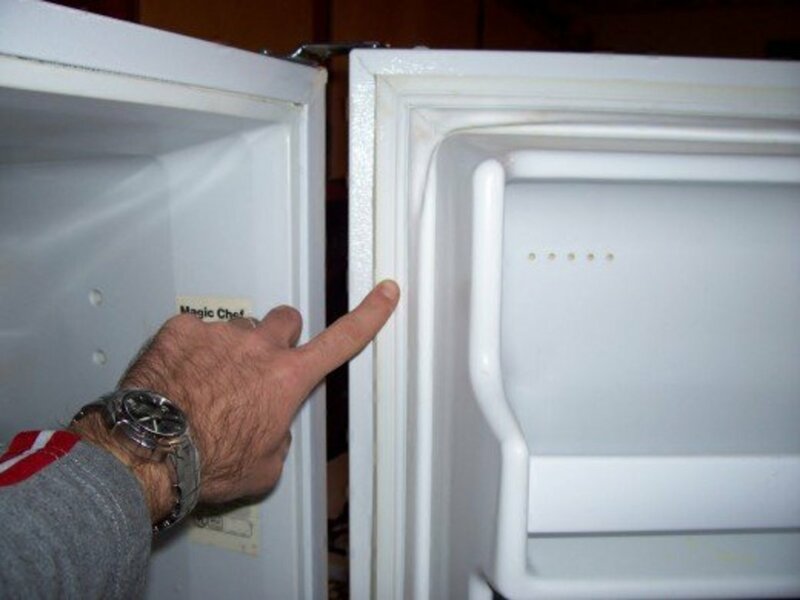 The dimensions of your refrigerator may be a good bit of information to have if ordering something other than an exact replacement from the manufacturer. If you go to the website for the manufacturer of your refrigerator, you should be able to find the part number for the correct replacement seal by entering in the model of your refrigerator or freezer. Then, once you have that part number for the seal, you can either order it directly through the manufacturer's website or by going to Amazon and typing in that part number. Chances are that Amazon carries it. Universal Gaskets: Another option is to use a universal type gasket. When possible, try to obtain the original gasket from the manufacturer as they tend to seal better. But if that's not an option, the company 3M makes this universal gasket for refrigerators and freezers. It's basically trim to fit. 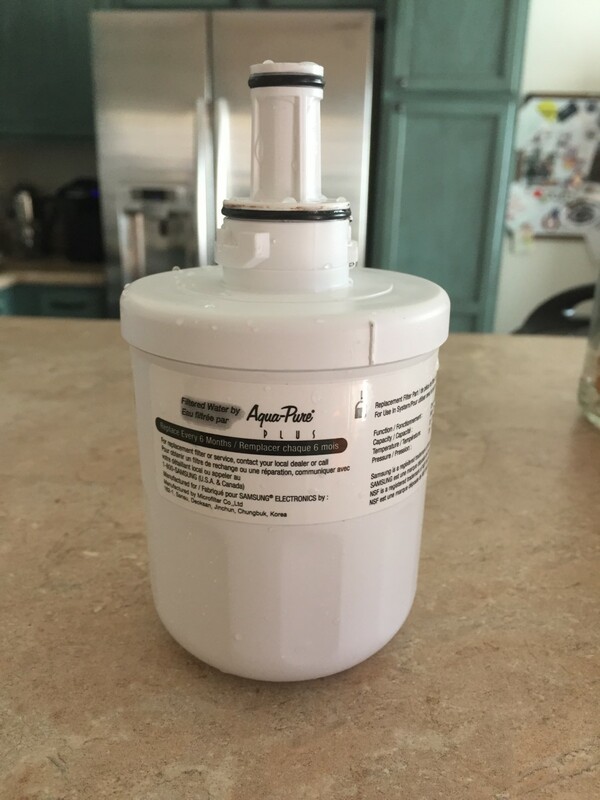 It works really well for older model refrigerators and freezers (a lot of older models used this same universal seal anyway), but can be hit or miss for newer models. New Gasket - Hopefully this is an original replacement part from the maker of your unit. Otherwise, it'll likely have to be a universal refrigerator/freezer seal. Hex Head Wrench - This will likely be a 1/4" size hex head but you may need a screwdriver or "Allen" wrench depending on your refrigerator. Rag - This is a good time to clean under the gasket where it has likely never been cleaned. Vaseline - Or other petroleum jelly type product (optional). Now that you have your new gasket, let's get started with our replacement. I suggest you open up your new gasket and lay it on the floor in a warm area so that it "relaxes". This will just make for easier installation as it's likely somewhat misshapen from being in packaging. If need be, you can even use a blow dryer to help relax the material. I don't think this will be necessary but it is possible. Don't get it too hot, just warm enough to help it relax. The screws that hold the gasket in place are visible after lifting up on the gasket. 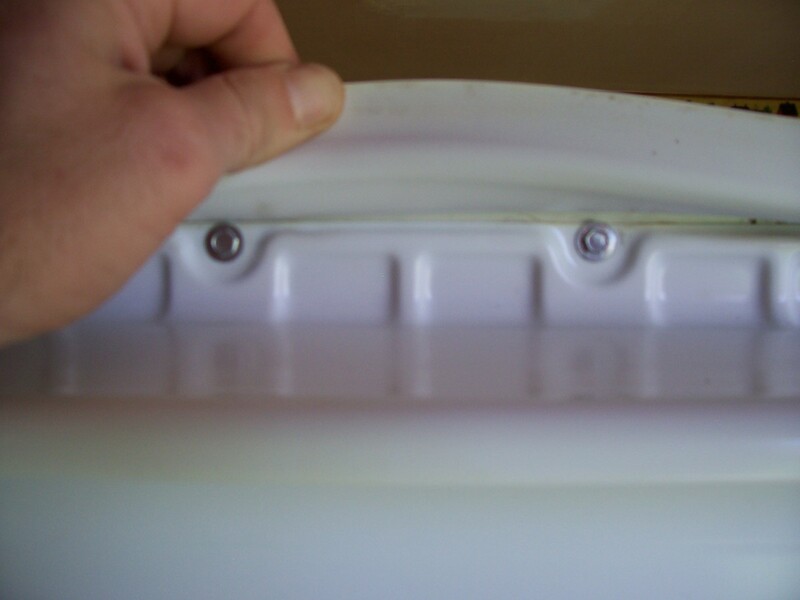 Lift the front edge of the gasket at one corner to expose the screws that you'll need to loosen. The key word here is loosen. We are not going to remove the screws entirely. Loosen the screws working from one corner across and down. 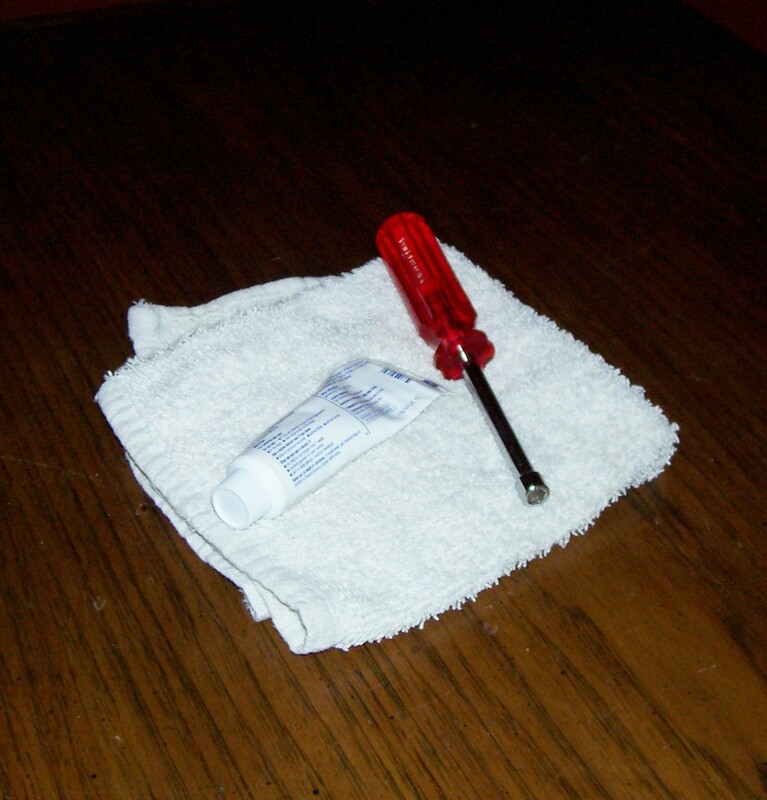 As you loosen the screws, you will be able to start pulling the gasket off of the door. Work your way around in this fashion until the gasket is completely off. Install the new gasket loosely for now, so that we can make minor adjustments later. Begin to install the gasket in reverse of how the old one was removed. As you install the new gasket, just slightly tighten down the screws as you go. If there is a very minor gap on the door side of the gasket, this is more acceptable than where the gasket seals up against the cabinet itself. That seal must be flush all around the door. Now that the new gasket is essentially in place, shut the door and inspect the gasket on all sides to ensure that it is properly seated. We don't want any wrinkles in our new gasket. You can make minor adjustments by pulling the gasket gently one way or the other as needed. Now that the refrigerator (or freezer's) gasket it positioned correctly, finish securing it by tightening all the screws. Finally, now that your gasket is seated properly and you are happy with your inspection, tighten down the screws one last time to complete the replacement. 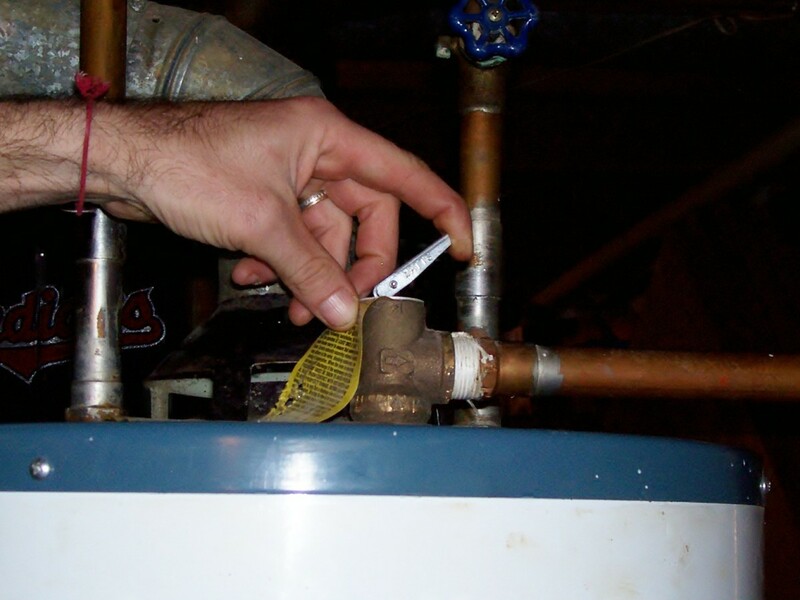 Be careful not to move the gasket while you are doing this, you don't want to knock it out of adjustment. Also, do not over tighten the screws. You should just snug them down firmly as opposed to breaking out the drill to really wrench them down. 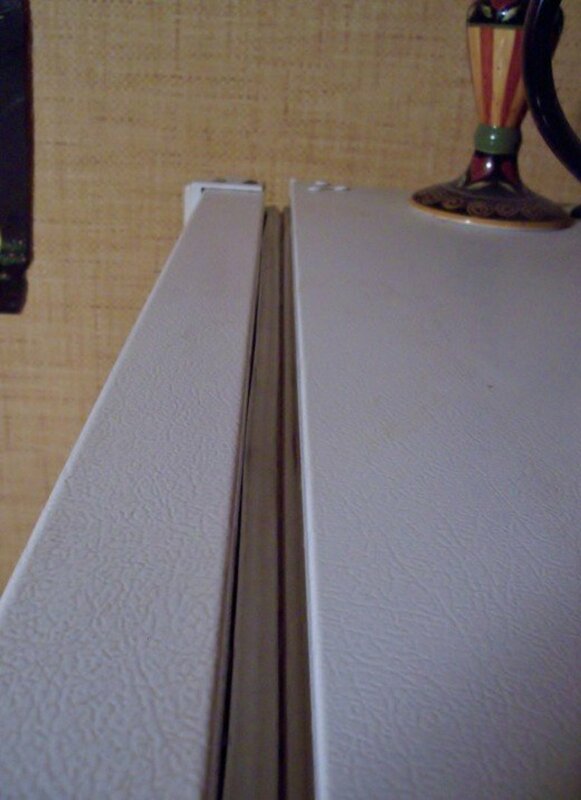 A slight smear of Vaseline on your refrigerator gasket at the jamb might make it a bit easier to open the doors. You may need to smear a light coating of petroleum jelly (Vaseline) along the gasket at the jamb to ease the opening of the door if your seal is amazingly tight. You should notice a little more effort is required but you shouldn't have to brace yourself for leverage to open it either. That's it. We're done and likely within a half an hour of the time we started. That wasn't so bad, was it? Now we can just reap the benefits of our improved refrigerator. What are the benefits of a new gasket? I thought you'd never ask. Of the below choices, which would you prefer? This is also a great time to clean out and wipe down your refrigerator. It might just help to eliminate smells in your refrigerator that you didn't even realize you had. 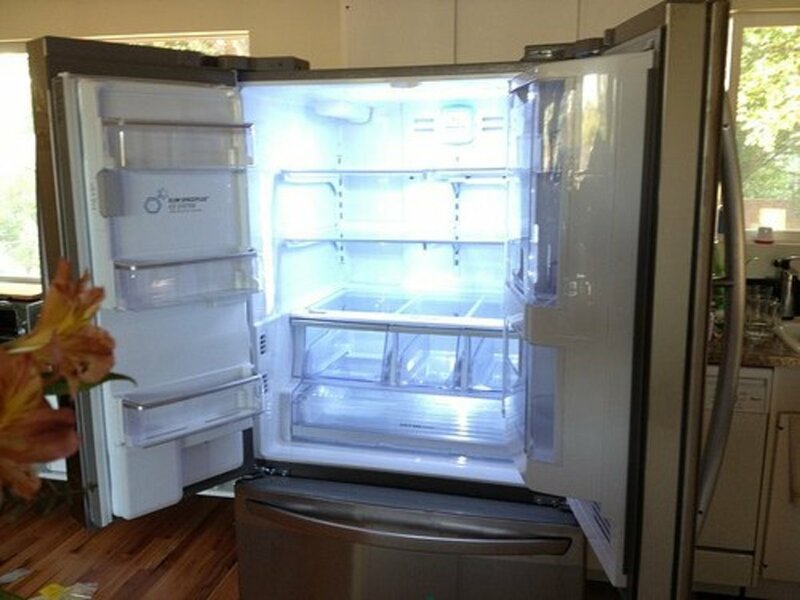 Once you have your refrigerator clean, you'll be amazed how fresh it smells. Plus you reduce the chances of food kept inside absorbing some of those unpleasant smells (yes, food does that). I know that the cost of the gasket is not outrageous but can still be hard to swallow. Perhaps this will make you feel better. 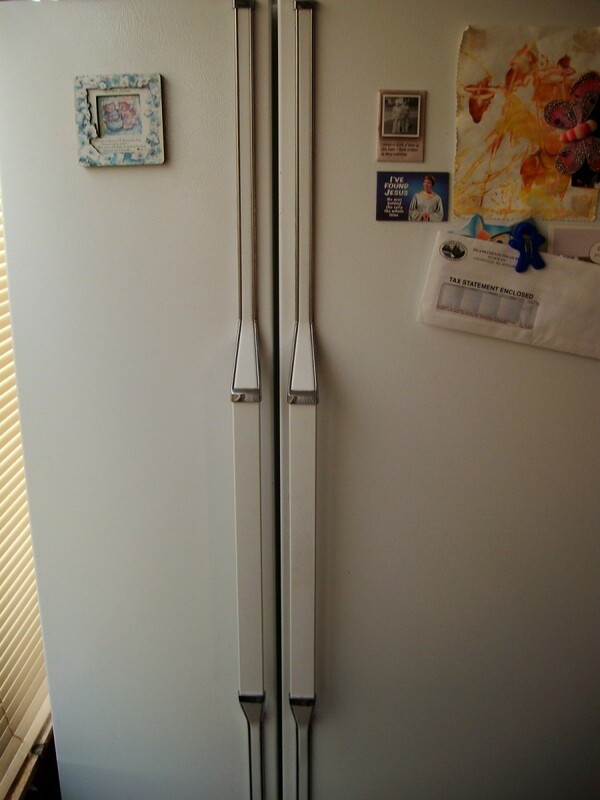 A refrigerator runs in order to maintain the interior temperature of the cabinets. This is also when the refrigerator costs you money, when it's running. With that in mind, a leak makes it difficult to for the appliance to maintain it's temperature and therefore it runs more often. Are you feeling better yet? It won't be too terribly long before that new gasket pays for itself. That's not the only benefit though. 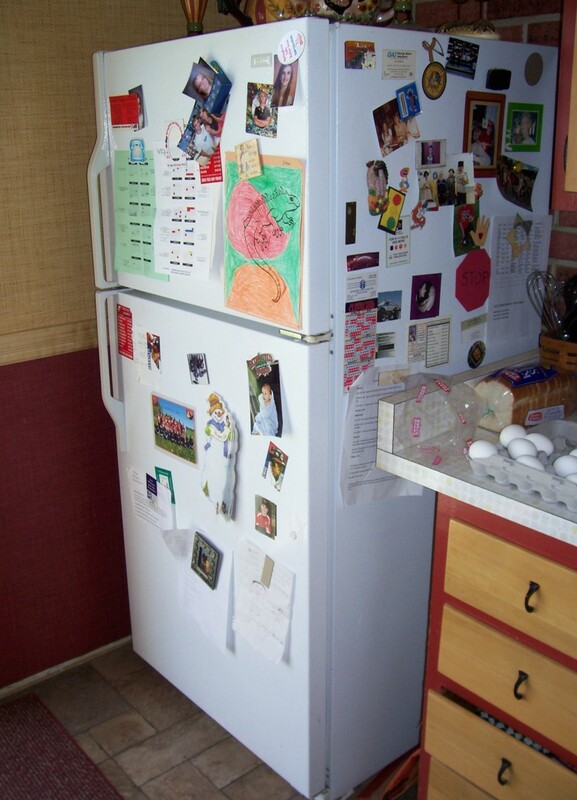 Rising and falling temperatures inside the refrigerator are not good for your food. Now that your's is properly sealed, you should expect your food to stay fresher longer due to having a consistent temperature to "chill" in. Last but not least, how about the fact that you just cleaned an area of your fridge that has likely never been touched? If your gasket was bad, it's likely that this area was quite dirty and even moldy as well. I don't know about you but I prefer my food to be as far from mold as possible. All this and there were no service charges, no special tools to buy and no sweat. 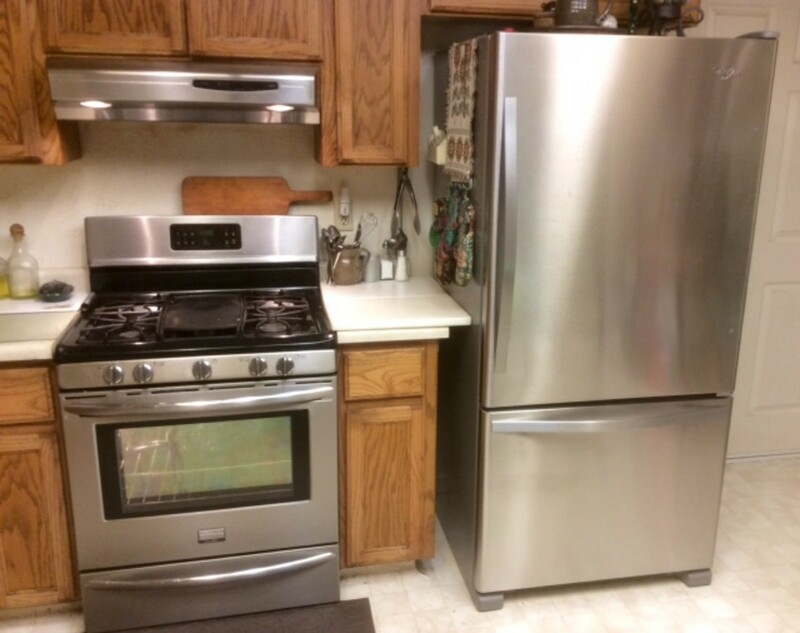 You should feel good about having done this yourself and perhaps saved the cost of buying a new refrigerator when the one you had just needed a little love. Marvel sxs freezer building icebergs adjacent to freezer door gasket. paper test slides very easily. This is a new sxs which has had several doors changed out & this the worst so far. Is this repairable? Sounds like a design flaw then and I would be asking the manufacturer to resolve the issue or replace the unit if this is new. You shouldn't have that on a new unit. Shouldnt step 1 be turn off your fridge so you are not cooling your kitchen while you replace the gasket? The project doesn’t take too long so it’s not really necessary. Also then your unit will just run twice as long to reach the desired temp when you are done so energy-wise it won’t make much of a difference. Your food will just get warmer while you do the work which again doesn’t take all that long. We have a refrigerator in the garage, and in the winter months, we cannot keep anything in the freezer because it will not keep things frozen. Could it be that we need a new seal? It could be. Perhaps the cold temperatures in the garage are causing it to contract, thus leak, and in the summer it maybe expands, so it is ok. Your welcome Rosalie and yes you can! Thank you, Dan! Ordered my gasket and am ready! I can do this. Dude, this is such a fantastic DIY guide! Heck, I didn't even know what a gasket was (embarrassing confession of the day), but after reading your Hub and looking at the helpful photos, I really feel like I could do this on my own. I can't wait to get home and do that low-tech paper check! I'm sorry I didn't get this written for you sooner but am glad that you may not have to do the same again. Thanks for reading. I'm surprised at how easy this is. 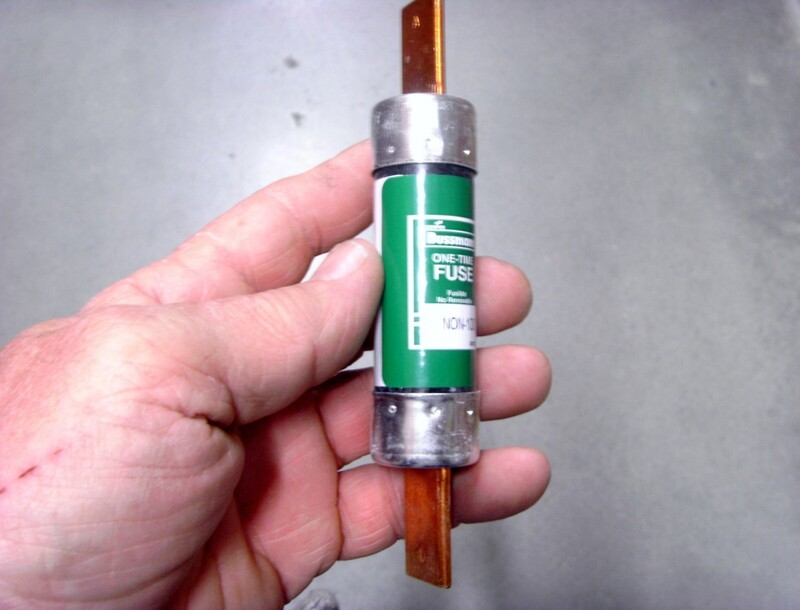 I once gave away a freezer because the gasket became loose and I didn't know how to fix it. I will save this article to use the next time it happens.